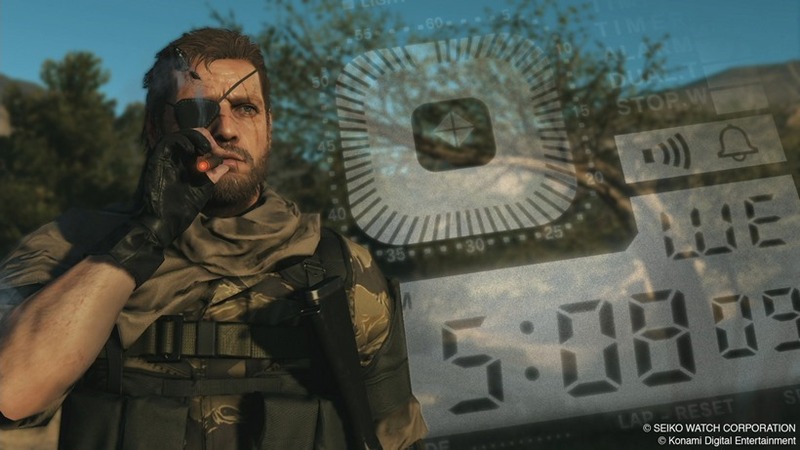 Huddled into a corner on top of a sloppily put-together structure in the middle of the desert, Snake takes out his technologically advanced binoculars to survey the area. As I pan the camera around my surroundings, red blips show up – concentrated in a particular direction. The rest of the land is barren, devoid of life on the smallest scale and stretching out towards the horizon. This lowly camp is the only source of danger around for miles. That’s both good and bad – with Metal Gear Solid feeling like it’s a little unsure what to do with all this freedom its giving players in the concluding chapter to the Hideo Kojima epic. Being dropped into a dusty, empty piece of desert in the Middle East was a little jarring for a series I’ve become so familiar with over the years. The Phantom Pain is, of course, the first game in the series to offer open-word exploration – giving you the chance to approach enemy installations in a number of different ways. There’s a sense of unbridled freedom that has been missing from the series over the years, but its inclusion has some mixed results. With Snake’s trusty D Horse nearby, I quickly hopped on top and began making my way to the mission marker – one of many that can be selected at any time by simply bringing up your map. 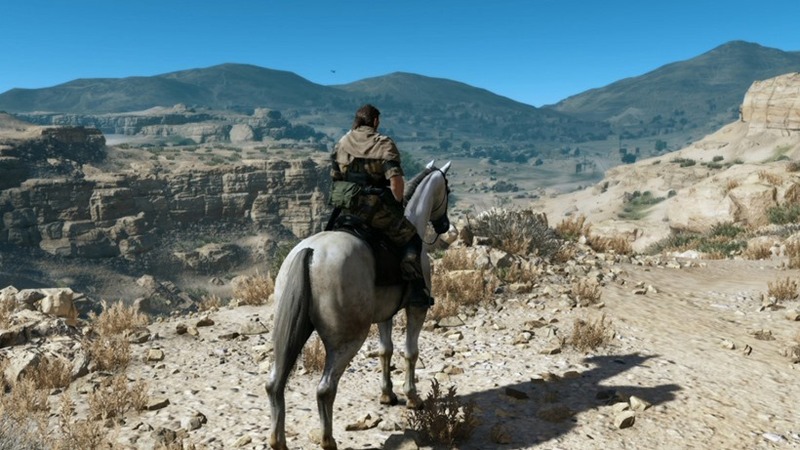 Kojima has touted the dynamism of The Phantom Pain’s open-world for months now, describing how wildlife and unexpected patrols can make getting from A to B as rewarding as actual missions. That wasn’t really the case in my time with it though – with the path from drop-off to mission being populated with nothing more than a light breeze and otherwise stunning views. That’s just the luck of the draw it seems, but it is a little worry that a lot of this to-and-fro travel could end up as little more than boring padding. Once at the enemy outpost though, things ramped up rather quickly. After a shaky CQC engagement with a patrolling guard and a less than clinical tranquiliser dart to a overlooking watchman, I soon found my rhythm again. 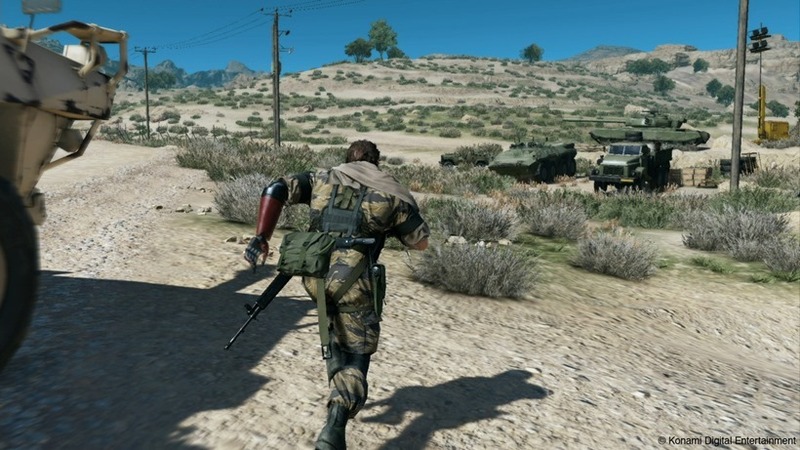 Marking enemies is central to The Phantom Pain, and works well in context with the game’s expansive environments. These small outposts where missions take place (like the kidnapping of a military official that drove my session) feel like little samples in the same vein as Ground Zeroes. There’s small and often condensed morsels of stealth gameplay, with the open world around it allowing you to approach it from any direction you see fit. Unsurprisingly, these sections of play are the same level of near-flawless stealth action that you’ve come to expect from the franchise, albeit with the few tricks that Ground Zeroes introduced last year. If you choose you can still let the game give you a small out when detected – slowing down time to a crawl so that you can take out the poor perp who laid eyeballs on you. But for the most part it’s the same belly down, eyes up sneaking that Snake has redefined the genre with time and time again – if you want it to be. Gunplay is surprisingly tight for a game that is primarily focused on never using guns, meaning the loud approach was far more viable than I would’ve expected on previous entries. 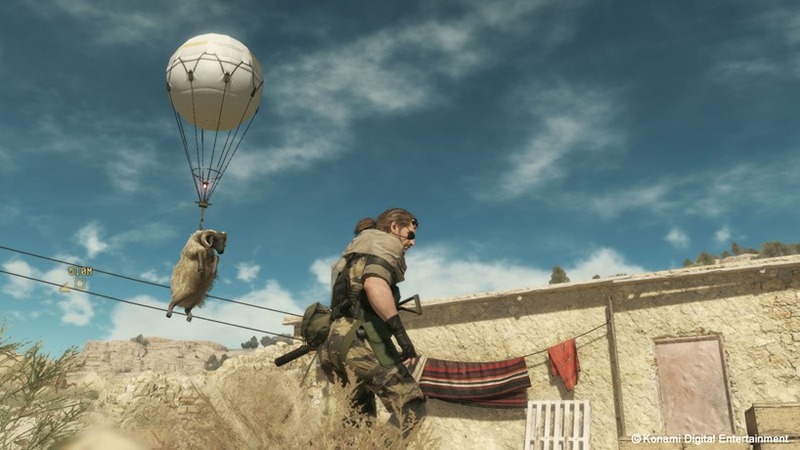 But robbing The Phantom Pain of these elegant stealth elements just felt wrong, and would’ve meant that I might have missed out on some of the sequel’s finer additions. The changing time of day, for example, rapidly let me get closer and closer to enemies as the sun lowered slowly to the horizon. What started out as a mission during noon, stretched well into the night, with the stunning moonlight being the only spotlight witnessing my daring escape after the mission was complete. That, as well as the dynamic weather the game is also introducing, impact gameplay in a meaningful way – rather than just being some glossy eye candy. It’s just a little disheartening that it took a while for anything to actually start feeling like it meant anything, with the open-world preceding my cat-like infiltration feeling as dead as it was barren. Maybe it might have been a terrible hand that the game just chose to deal me, and I do hope the full product manages to captivate me fully from one mission to the next. Otherwise, Snake’s red prosthetic arm is not the only thing that’s going to feel a little hollow.